Check yourself in style with these unusual mirrors and cool mirror designs from all over the world. 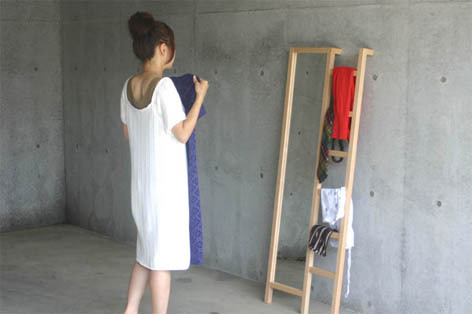 Ladder Mirror: It functions as a ladder, leans on the wall and coordinates clothes for the next day. 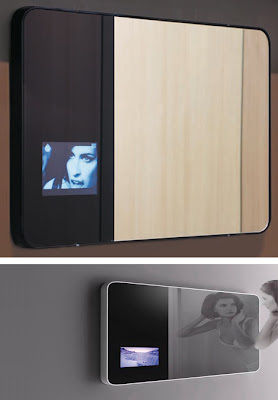 Multimedia Mirror: The multimedia mirror Hi_Mirror combines fashion, quality and technology into one. The Hi_Mirror comes with a clock, a weather station, a radio, and a television. 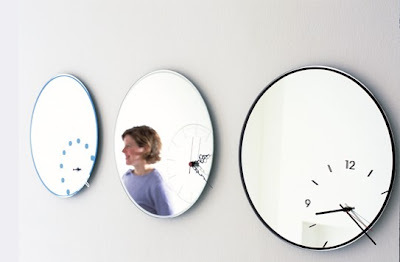 Clock Mirror: My Time mirror is a clock and a mirror in one. 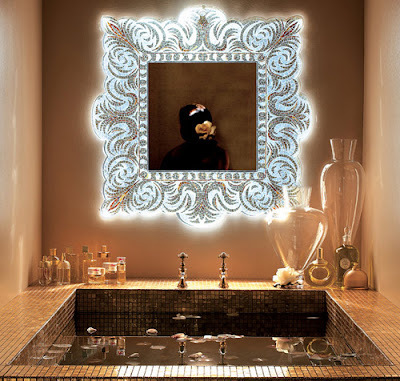 Verev Mirror: This mosaic design beautiful wall mirror comes from Sicis. 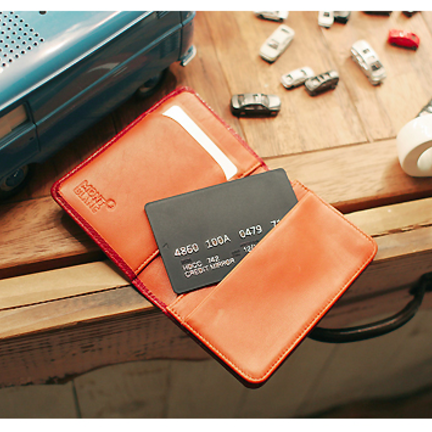 Credit Card Mirror: Designed like a credit card, you can conveniently keep it inside your wallet. Design Mirror by Caryn Moberly: The frames of the mirror are formed with two pieces of wood running on either side. Water Mirror: Cool mirror designed by Hideto Hyoudou and Rikako Nagashima. 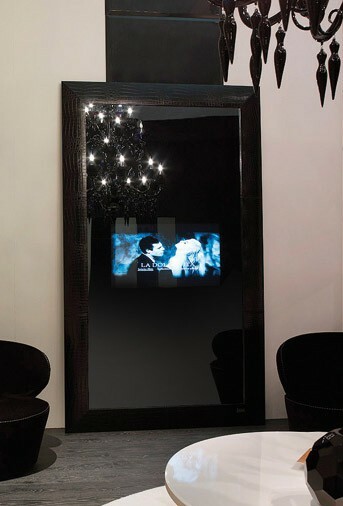 TV Mirror Combo from Fendi Casa Collection: The reflective mirror appears to be a normal mirror when the TV is switched off. 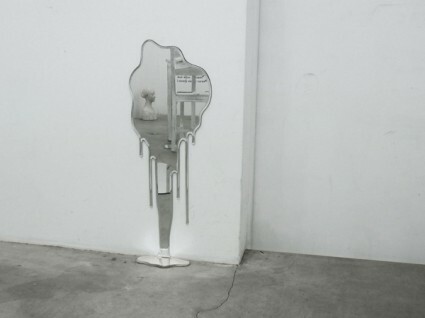 Lamp Mirror: Creative lamp that also works as a mirror. 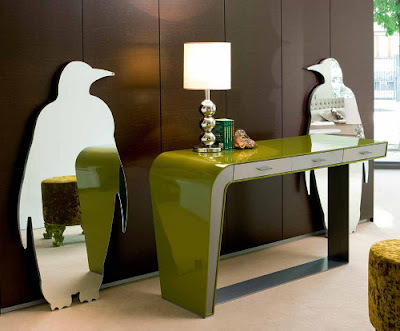 Penguin Mirrors: These wintery themed cool mirrors come from Italian company Creazioni. 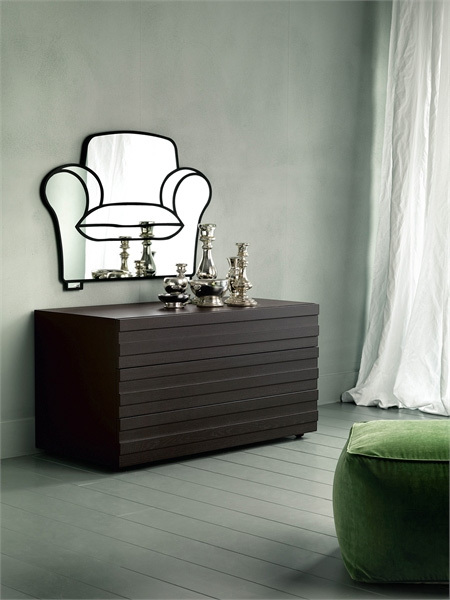 Sofa Mirror: This cool mirror shaped like a sofa is designed by Paola Navone for Casamilano. 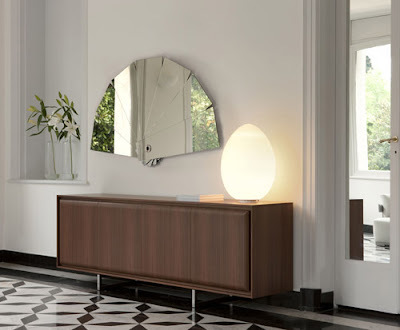 Wall Fixable Extendable Mirror: The Axio-Link mechanism lets you pull the mirror out from the wall toward you while the touch-activated lighting illuminates your reflection. 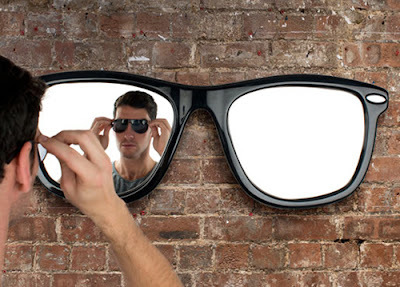 "Looking Good" Wall Mirror: Inspired by the classic sunglasses design, the Looking Good mirror from Thabto. 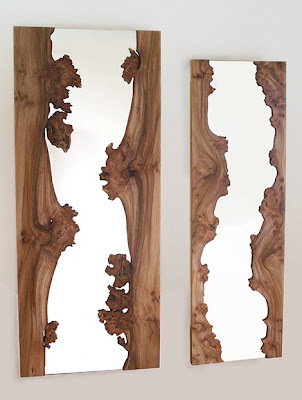 Don't miss to check out "Unusual Mirrors and Cool Mirror Designs - Part: 1| 2| 3| 4| 5| 6." 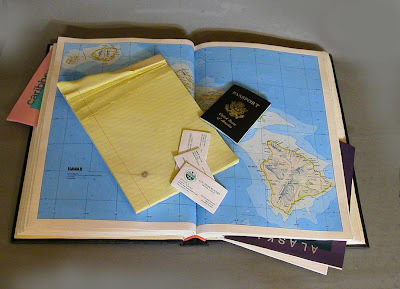 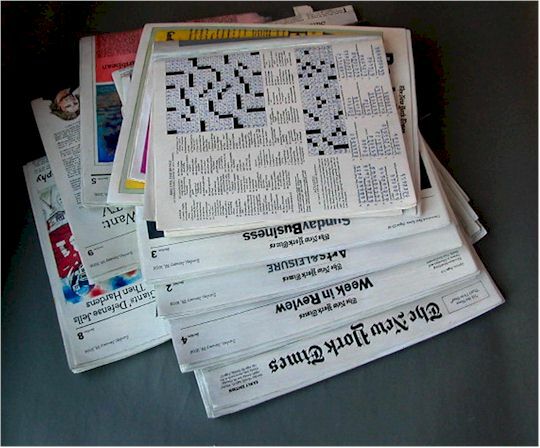 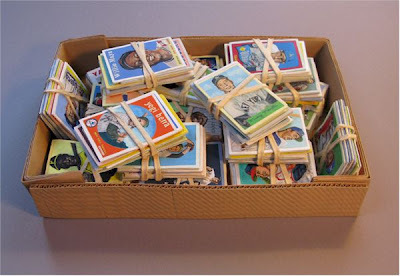 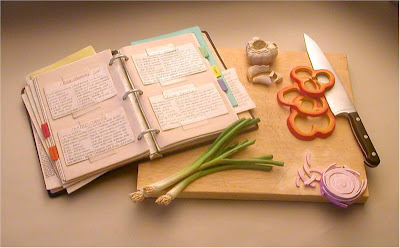 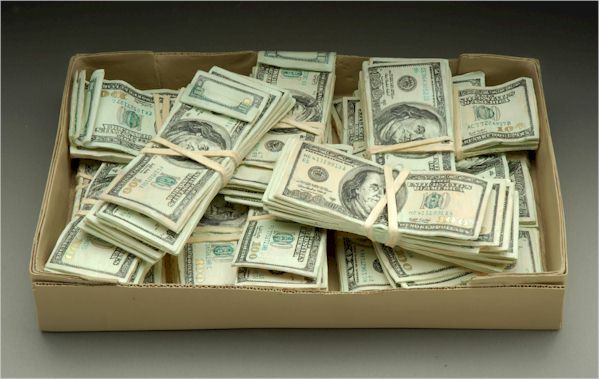 New York based artist Randall Rosenthal creates unique everyday items made of wood. 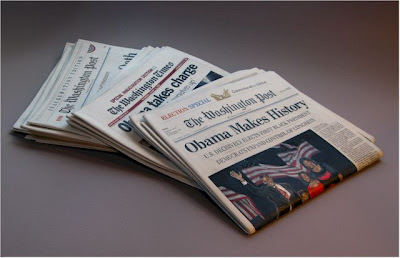 All his works are handcarved from a single block of wood and hand-painted to look just like the real thing. 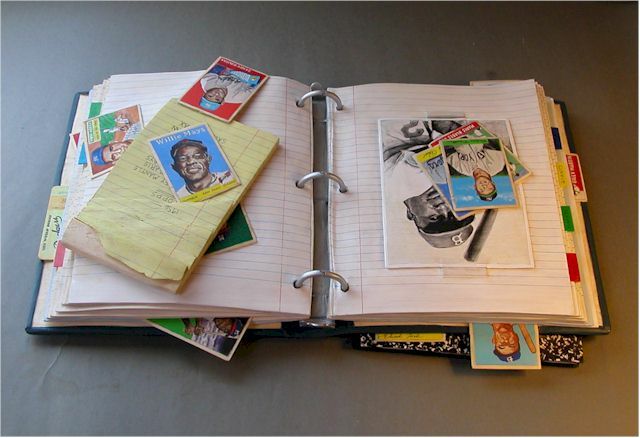 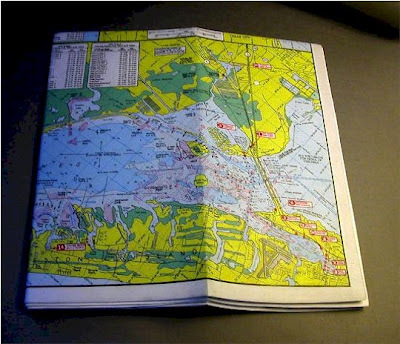 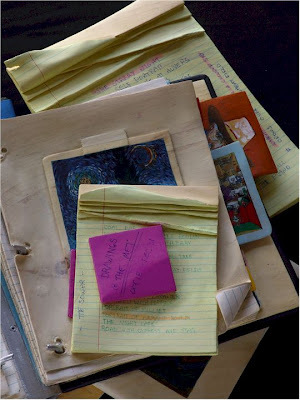 He creates charts, maps, yellow notepads (with photographs), baseball cards, boxes, newspapers, books, journals, architectural or wall sculptures, etc. 15 Cool Wall Hooks and Creative Coat Racks - Part 6. 15 Creative Hoodies and Unusual Hoodie Designs - Part 3. 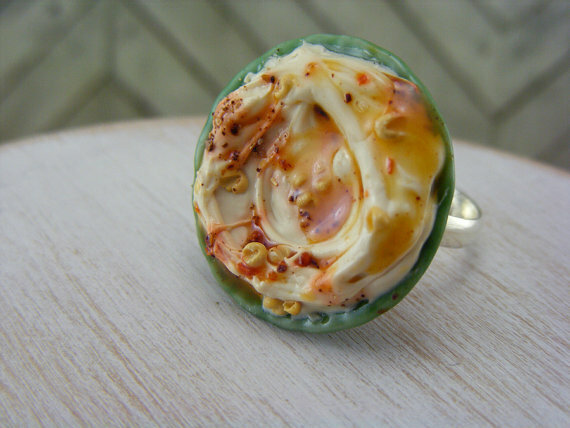 15 Creative Pepper Grinders and Cool Pepper Mills - Part 2. 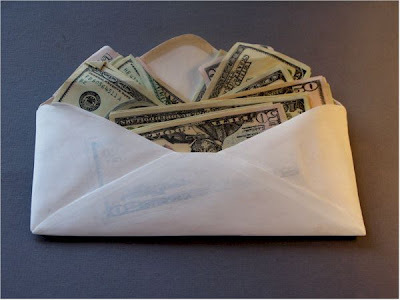 15 Creative Lampshades and Cool Lampshade Designs - Part 2. Collection of 'Useful and Creative Gadgets and Products for Your iPad' from all over the world. iPad Trousers: These trousers are built for iPad; it features an enormous pocket to house the iPad. 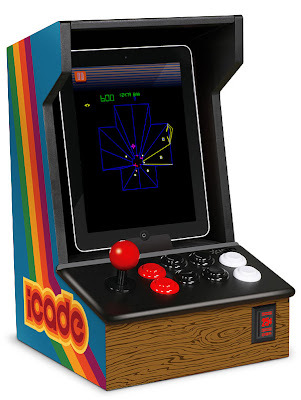 iPad Arcade Cabinet: Cool retro-styled tabletop arcade joystick and buttons for your iPad. 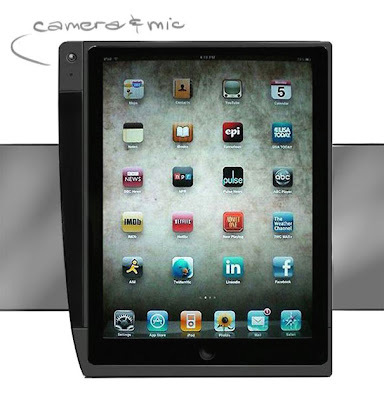 iPad Camera Case: Designed by Chet Rosales, this concept case has a camera that can be attached to the iPad. 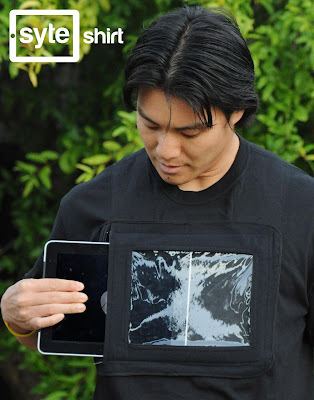 iPad Syte Shirt: The iPad Syte Shirt displays your iPad while keeping it secure and provides functionality and interactivity through the shirt. 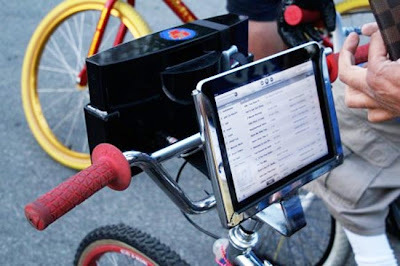 iPad Steering Wheel Stand: iPad is sized perfectly to use with iPad Steering Wheel stand without obscuring the driver's view. 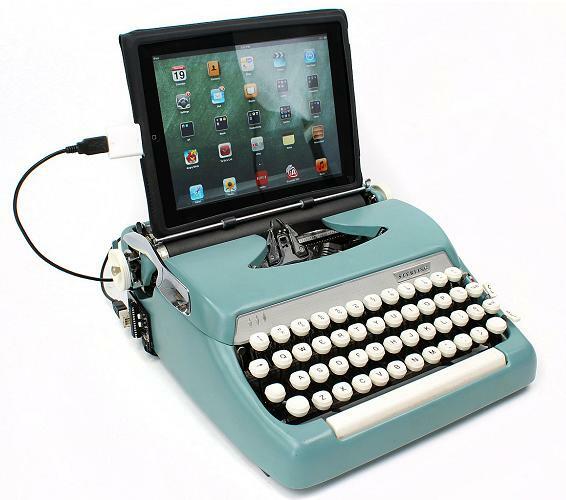 USB Typewriter: Antique typewriter modified to work as a USB keyboard for iPad. 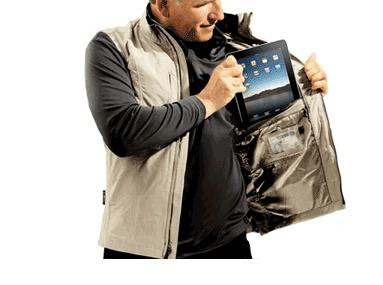 iPad Bag: Assero Protector is a convertible back/front slim-pack for your iPad. 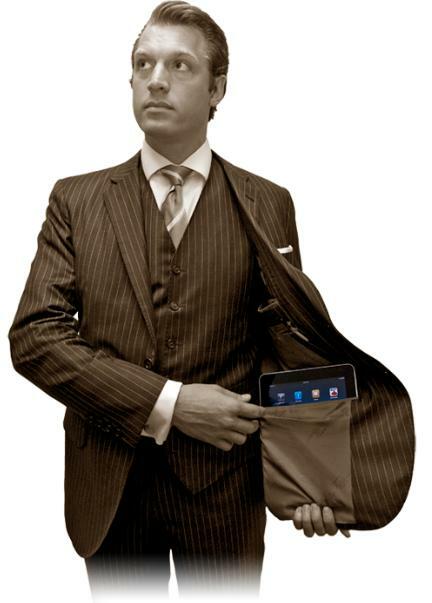 iPad Suit: This suit comes with an iPad pocket, creation of New York-based gentlemen's tailors Mohan. iPad Arcade Stick: A physical joystick to your iPad. 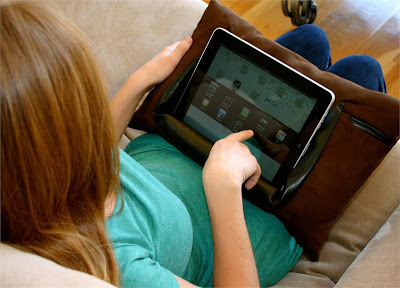 iPad Pillow: ePillow allows you to use your iPad comfortably anywhere, anytime. 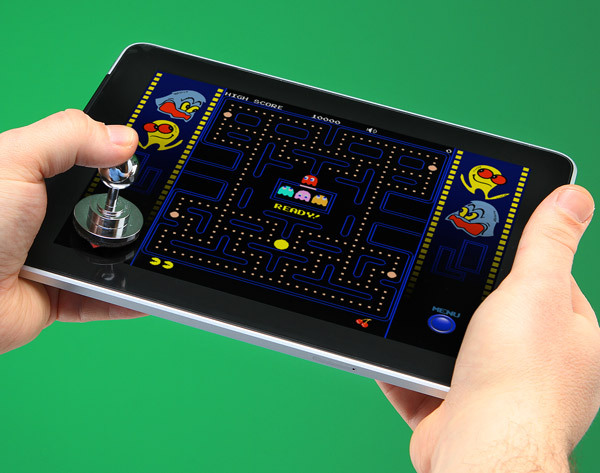 iPad HandStand: The cool design allows you to hold your iPad with one of your hands, rotate it 360 degrees, easily toggle between landscape and portrait orientation. 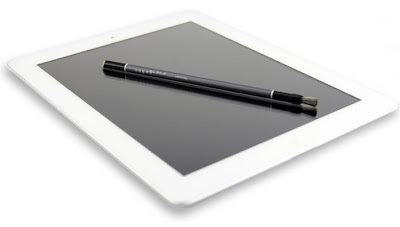 iPad Paintbrush: Nomad Brush features a blend of natural and synthetic fiber brush tip, that is flexible, soft, and provides superior feedback. iPad Bike Stand: Attach an iPad and a set of speakers to your bike. 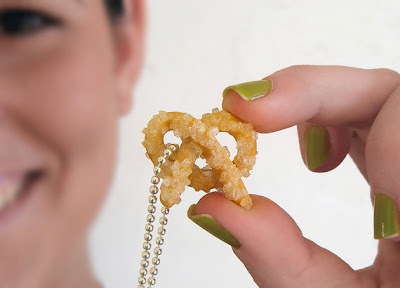 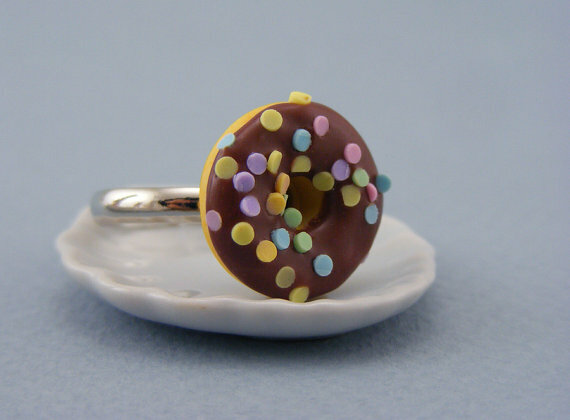 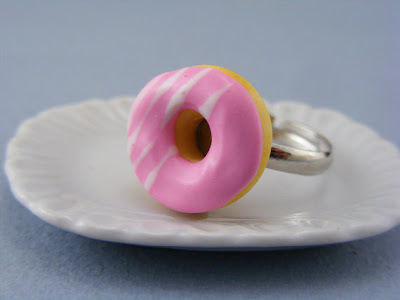 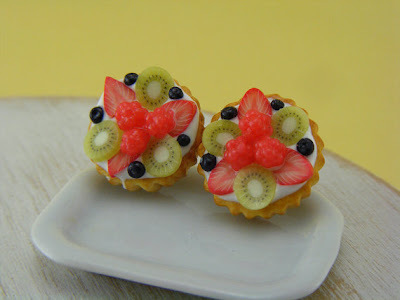 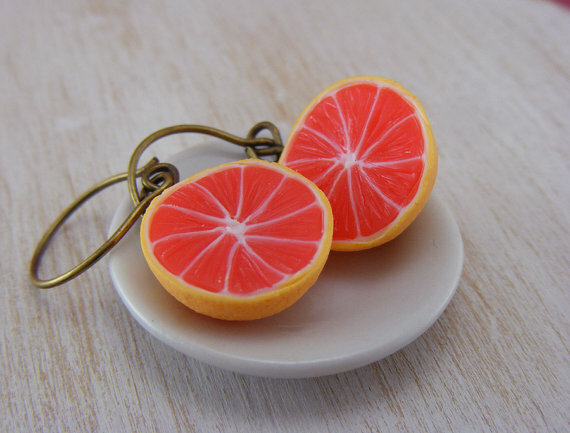 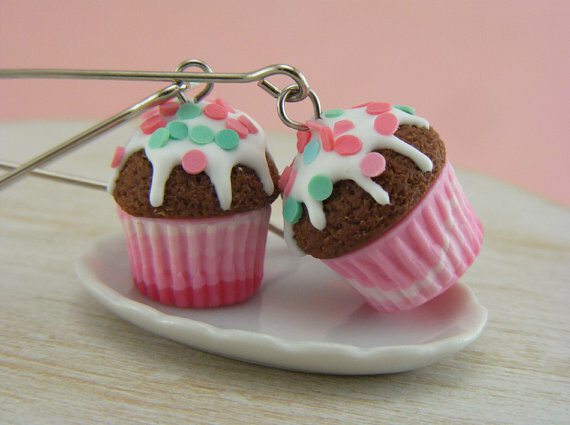 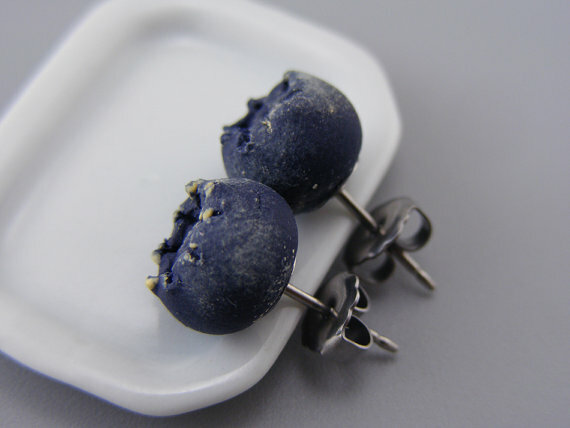 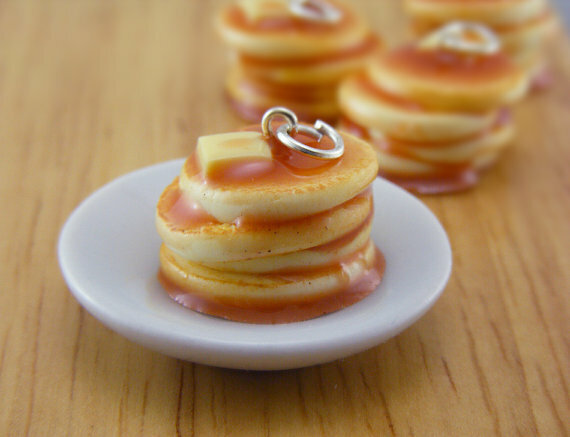 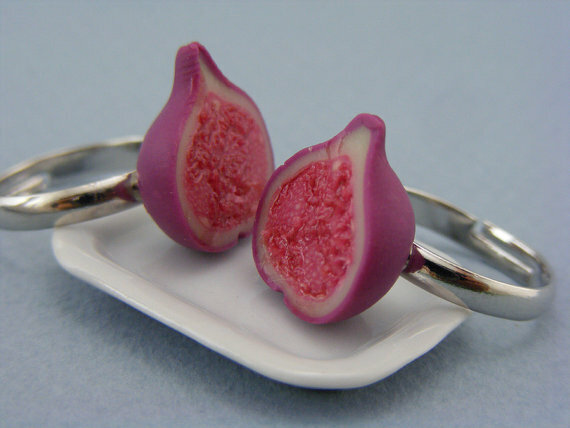 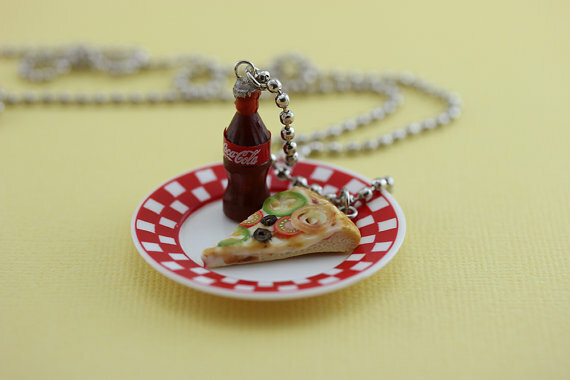 15 Creative Ring Holders and Cool Jewelry Dish Designs. 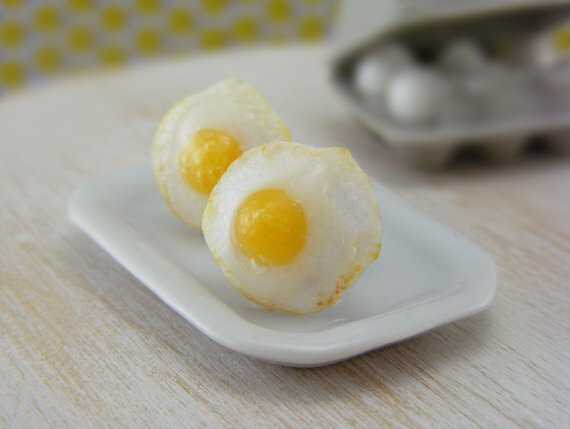 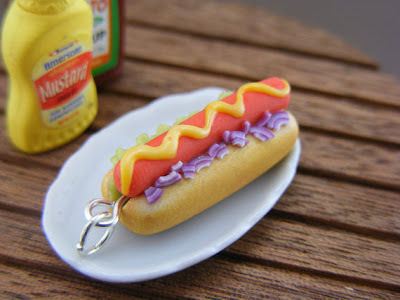 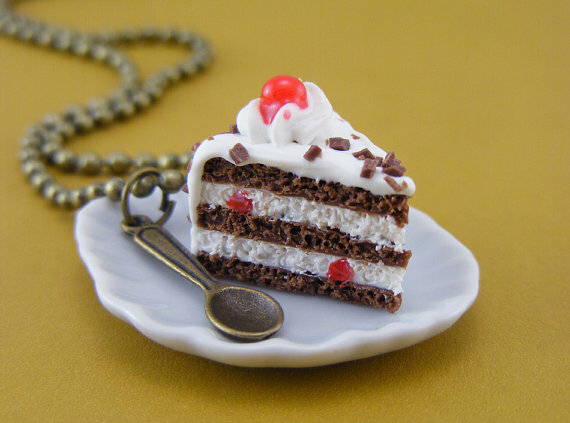 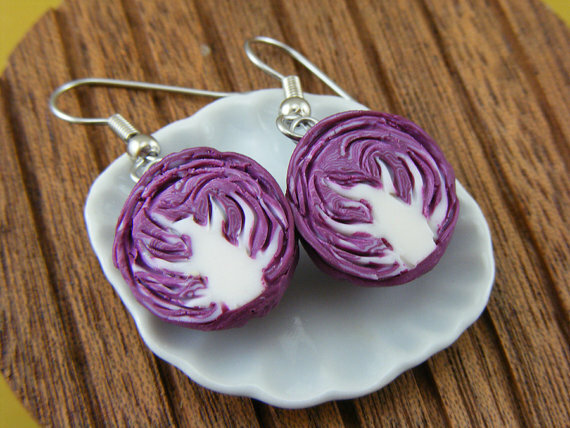 15 Cool Fridge Magnets and Creative Fridge Magnet Designs - Part 5.